The educational color ing book company Doodles Ave™ has just released the “Doodles Volunteer State Coloring Fun” to introduce young adults to the landscape and history of the state of Tennessee. Dallas, TX – Coloring books are back! Both children and adults are re-engaging with this pastime for pleasure and in the case of activity books, education. 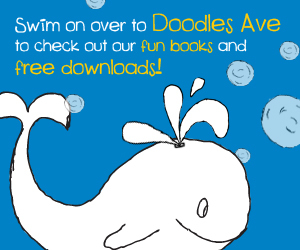 Doodles Ave™ is a brand name in educational coloring books. The company provides educational coloring and activity books that engage and educate school-aged children in a fun, artistic medium. The company’s mission has been to foster education and scholastic exploration through coloring. This summer Doodles offers a new coloring book that is all about the state of Tennessee. Tennessee is the “Volunteer State”. Through the activity book, youth and others will be able to learn more about this state and its landmarks—something that Doodles feels will be useful in the coming summer months as families travel on vacation. The 44 page-coloring book takes children on a journey through the Smoky Mountains to the Nashville Zoo, exploring famous sites and symbols of this beautiful southern state. As they color the various sites and images they are learning about them at the same time and in a way that the brain will treat as important and memorable. The activity book will be released on June 1st 2017 through Amazon goo.gl/e9JkG0. to the media upon request. Tags: activity, art, best tennessee coloring book, book, books, coloring, crayola, elephant sanctuary, environment, facts, family, fun, Games, gift shop, indoor, learning, nashville, news, parents, railroad museum, reading, Setria James, souvenior, souvenir, state, summer, Tennessee, tennessee coloring book, travel, volunteer, zoo | Permalink. Besides coloring this great coloring sheet, below are the TOP 5 ways to celebrate Earth Day at home, school, and or at work. 1. Plant trees. As the date also roughly coincides with U.S. Arbor Day, over time Earth Day has taken on the role of tree-planting. Planting trees helps to reduce greenhouse gas emissions, cleans pollution, secures soil in place to prevent erosion, and provides homes for a lot of biodiversity. 2. Make nature crafts at school or home. Get together with your family and build a birdhouse or make a bird feeder to encourage the local bird population, which plays an important role in every ecosystem. For an extra-special Earth Day craft, use objects that would’ve otherwise been thrown away to create beautiful works of art. 3. Learn more about the environment. Earth Day is a good time to make a commitment to learning more about the environment and how you can help to protect it. Borrow some library books and read up on an issue such as pollution, endangered species, water shortages, recycling, and climate change. Or, learn about a region you’ve never considered before, like the Arctic, the deserts, or the rain forests. Think about the issues that concern you the most and if you haven’t done so already, join a local group that undertakes activities to help protect the environment in your area. 4. Reduce, reuse and recycle all day long. Buy as little as possible and avoid items that come in lots of packaging. Support local growers and producers of food and products – these don’t have to travel as far and so reduce greenhouse gas emissions. Take your drink container with you, and don’t use any disposable plates or cutlery. Recycle all the things you do use for the day or find other uses for things that you no longer use. Carry a cloth bag for carrying things in and recycle your plastic bags. 5. Hold a garage sale, donate, or reuse household items. Many of us take up a lot of natural resources with stuff we don’t really need, want or use. Ironically, there’s a still lot of people who don’t have basic necessities. Plus, a lot of your unwanted clutter can be used by local charities to resell for much-needed cash. Click the following link to find additonal ways to celebrate earth day: http://goo.gl/oVG6E Click the above image to download the Earth Day Coloring sheet. Enjoy! Tags: climate, earth, Earth Coloring sheet, earth day, Earth Day 2013, Earth Day Coloring Page, Earth Day Coloring Sheet, environment, greenhouse gas emissions, nature, rain forests, recycle, reduce, reuse, science, ways to celebrate Earth Day | Permalink. Mountains are home to 12% of the world’s population. Sustainable mountain development is key to improve the livelihood of these often poor and isolated people. On the occasion of the 10th anniversary of the International Year of Mountains, the International Mountain Day strives to achieve a stronger engagement of actors/institutions and the civil society in sustainable mountain development. It is also a concrete opportunity to mobilize resources to improve the livelihoods of mountain communities. Special attention will be given to the involvement of youth in global sustainable development, as they will be the future actors. Additionally, the process will focus on the linkages between rural and urban development with an eye to the implementation of a green economy in line with the Rio+20 Earth Summit. Commitment and will to advance this cause were strengthened during the International Year of Mountains in 2002, and mountains have gained an increasingly high profile on agendas at all levels. The Year also led to the adoption of resolution 57/245, in which the General Assembly designated 11 December as International Mountain Day, and encouraged the international community to organize events at all levels on that day to highlight the importance of sustainable mountain development. Tags: celebrate, child development, children, climate, communities, Creativity, Doodles ave, early education, earth summit, education, environment, green economy, imagination, International Mountain Day, kiddos, learning, mountain coloring page, mountain coloring sheet, mountain line drawing, nature day, parents, science, Setria James | Permalink. Tags: Aril 22, celebrate, celebrate the earth, conservation, diy, earth, earth day, Earth Day Coloring Sheet, Earthy Day Coloring, Eco Friendly Coloring, Eco-kids, environment, food, Go-Green, Green Coloring, Green Kids, home, nature, plants, recycling, restaurants, scholastic, science & nature | Permalink. International Women’s Day (IWD), originally called International Working Women’s Day, is marked on March 8 every year. International Women’s Day has been observed since in the early 1900’s, a time of great expansion and turbulence in the industrialized world that saw booming population growth and the rise of radical ideologies. In different regions the focus of the celebrations ranges from general celebration of respect, appreciation and love towards women to a celebration for women’s economic, political and social achievements. Started as a Socialist political event, the holiday blended in the culture of many countries, primarily Eastern Europe, Russia, and the former Soviet bloc. In many regions, the day lost its political flavour, and became simply an occasion for men to express their love for women in a way somewhat similar to a mixture of Mother’s Day and Valentine’s Day. In other regions, however, the original political and human rights theme designated by the United Nations runs strong, and political and social awareness of the struggles of women worldwide are brought out and examined in a hopeful manner. Click the image above to download the Internal Women’s Day Coloring Sheet. Enjoy! 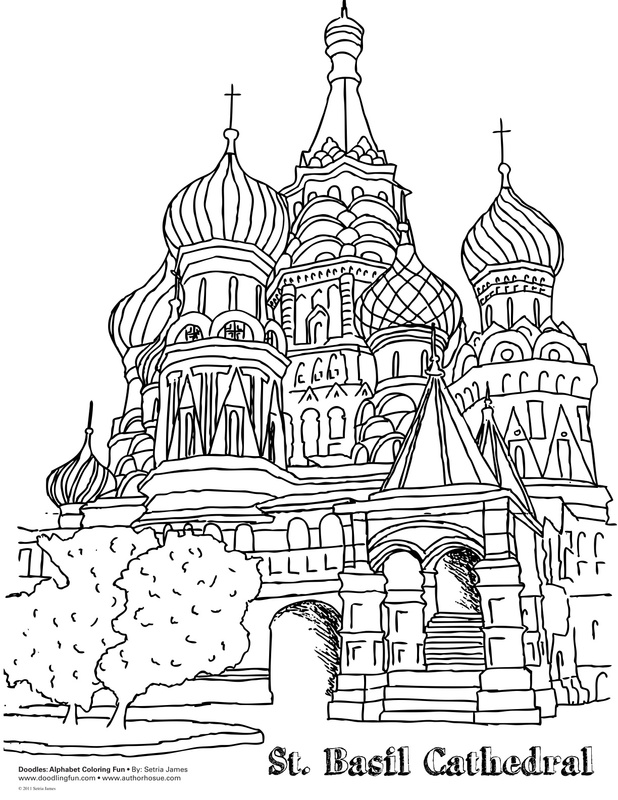 Tags: coloring book, coloring fun, environment, former soviet bloc, International Women's Day, International Women's Day Coloring Sheet, middle-east, politics, science, Setria James, valentine s day | Permalink. Below are the detailed instructions. You can use brass tacks instead of glue to attach the tail and arms if you want them to be moveable. Colour (where appropriate) and cut out the template pieces. Tags: beavers, canada, crafts, environment, fun, kids, outdoors, parents, woods | Permalink.